New Orleans is famous for numerous cultural wonders, including its alluring architecture, fluffy & mouthwateringly delicious beignets (seriously, those powdered pillowy doughnuts are downright dreamy), scrumptious Cajun and Creole fare, and killer Mardi Gras celebrations. Considering New Orleans’s booze-swamped Bourbon Street and infamous party scene, it may not come as a surprise that New Orleans has some of its very own special alcohol laws. We have highlighted some of these must-know laws for you below! What are the legal hours for alcohol sales and service in New Orleans? Every time of the day, 24/7… yeehaw! Can I drink alcohol in public in New Orleans? How old do I need to be in New Orleans to drink alcohol? 21 The only exceptions to this rule are if alcohol is being consumed for an established religious purpose, if a parent, spouse, or legal guardian purchased the alcohol for their children or spouse, or for medical purposes. How old do I need to be in New Orleans to enter a bar? 21 The only exception is if you are at least 18 years old and are accompanying a spouse or domestic partner who is at least 21 years old. How old do I need to be in Washington State to bartend? 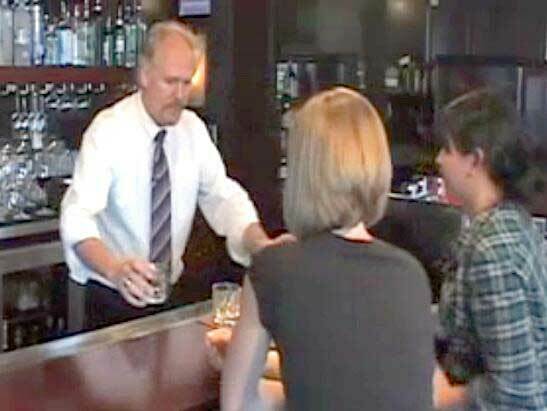 How old do I need to be in Washington State to serve alcohol as waitstaff? How old do I need to be in Washington State to conduct alcohol tastings? How old do I need to be in Washington State to enter a bar? Several U.S. States require that anyone whose job involves administering alcohol transactions with customers must complete some form of Responsible Alcohol Sales and Service Training. The logic behind this is that the knowledge and skills received from an alcohol server training course will empower waitstaff and bartenders to make decisions that will ensure public safety and prevent alcohol related tragedies from occurring. If you serve or sell alcohol in Florida State, we recommend taking a Florida Responsible Vendor Alcohol Server Training Course in order to get a Responsible Vendor Certificate, which is similarly known as a “Florida Bartending License” or “Florida “Alcohol License”. If you are a bartender or server, or if you plan to become a bartender or server in Montana State, you are likely going to need to cut off a person or two at some point during your career. There are several strategies out there that can help you effectively cut off a person from drinking alcohol, many of which you can learn about in our Online MT Alcohol Permit course. If you’ve already completed a Montana Department of Revenue approved Alcohol Server Training Course and are simply hoping to further your skillset for cutting people off, we have provided some helpful information for you below! The most important responsibility you have as someone who is involved in alcohol transactions is ensuring public safety. This means making sure your customers do not go over their limit or reach a point of intoxication. It also means that if one of your customers does become intoxicated (either at your establishment or before reaching your establishment), it is your responsibility to make sure they do not get behind the wheel of a car or get themselves into any sort of precarious situation. We know this sounds like a huge responsibility and burden, especially because nobody enjoys being cut off, and who enjoys cutting people off? Our hope is to empower servers and bartenders with knowledge and strategies to help make this process a little smoother, and to ensure it does not have a negative impact on customer experiences (or on your tips!). If you are planning to open up a restaurant or bar in Louisiana State, you may want to learn about Louisiana Alcohol Laws and requirements in order to keep yourself out of trouble! One way to do this is to complete a Louisiana ATC approved LA Responsible Vendor Course – which is required for all employees who interact with customers who purchase or consume alcoholic beverages. Unfortunately, it can be way too easy to lose, wash, or otherwise damage your MAST Permit to the point of being unrecognizable. Even though MAST Permits are made out of a thick paper, it’s still paper and is consequentially vulnerable against the elements. MAST Permit tragedies happen fairly often, so please don’t beat yourself up about it if you have fallen victim.